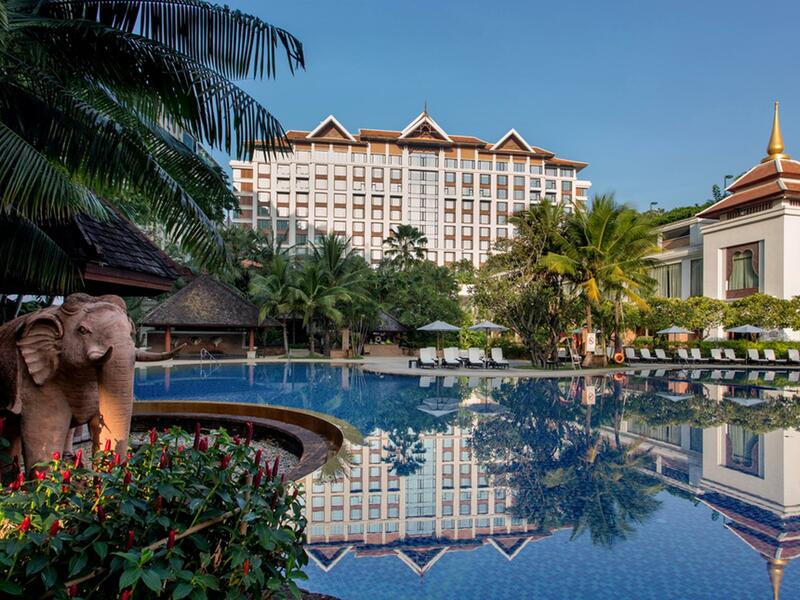 Есть вопрос для Shangri-La Hotel, Chiang Mai? 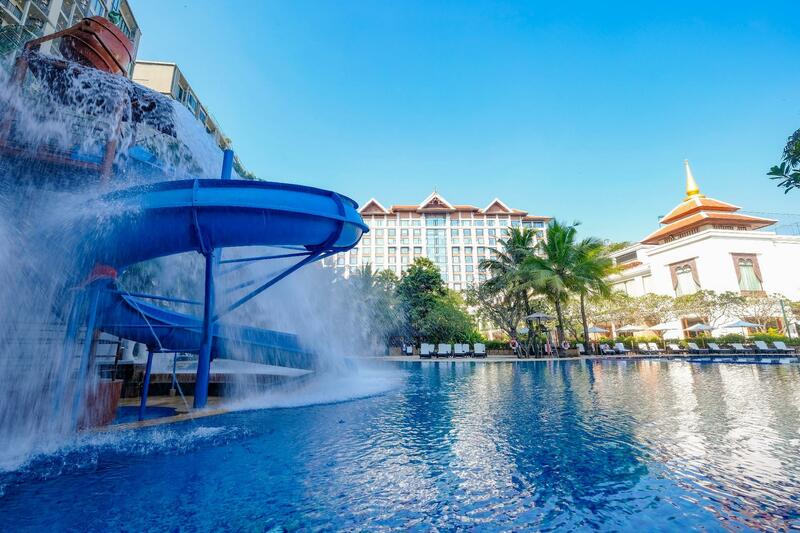 Shangri-La Hotel это отличный выбор как для туристических, так и для бизнес поездок, во время посещения Чиангмай. Отсюда, гости могут всецело ощутить преимущество удачного расположения и близости ко всему, что может предложить оживленный город своим туристам. Благодаря тому, что отель находится в непосредственной близости от таких достопримечательностей, как Genesis International Tailors, Пик Спа энд Бьюти Салон, Ambassador Fashions, гости отеля будут в восторге от его удобного расположения. Shangri-La Hotel предлагает безупречное обслуживание и все необходимые удобства для хорошего отдыха. Отель предоставляет обслуживание номеров 24/7, бесплатный Wi-Fi в номерах, регистрация 24/7, удобства для гостей с ограниченными возможностями, срочный въезд/выезд, чтобы обеспечить нашим гостям максимальный комфорт. Кроме того, номера оснащены различными удобствами, такими как шкаф, бесплатный чай, полотенца, тапочки, бесплатный кофе, чтобы удовлетворить даже самых взыскательных гостей. Отель предлагает великолепные услуги, в том числе гидромассажная ванна, фитнес-центр, сауна, внешний бассейн, спа, призванных помочь вам расслабиться после насыщенного дня в городе. Если вы ищете комфортное и удобное место для проживания в Чиангмай, выберите Shangri-La Hotel, который станет вашим вторым домом, на время вашего отпуска. Пожалуйста, обратите внимание: областной налог в размере 0,8% включен в стоимость номеров. Завтрак «шведский стол» сервируется в ресторане Kad Kafe ежедневно с 06:00 до 10:00. Взимается дополнительная плата. Завтрак предоставляется бесплатно для детей в возрасте до 6 лет (года). За детей в возрасте от 6 до 11 лет (года) взимается плата за завтрак в размере 370 THB в день. Хороший отель, но не роскошный. The staff at the front desk was very friendly and observant. It was my child's birthday and cakes were sent to us upon arrival, made our first day there. Also, our room was very clean and spacey. However, reminders were needed to add another set of towels every night after the first day as we had 3 people staying in the room which was for 2 initially. Overall, it was very pleasant to stay in Shangri-la Hotel with wide variety of breakfast selections and not to mention, all the staff speak English very well and are all polite and friendly. We did not have a problem going around in city especially with the help of the staff at the concierge and gate. Lastly, I would just like to praise the hotel for its safety. Lovely amenities, fantastic staff, gorgeous pool area. Breakfast was amazing! However, receiving a note from staff saying pool / area was closed from 2pm onwards made the hotel stay sub par- I wouldn’t pay $250+ for a hotel room to not be able to use the amenities. Encountered a few unfriendly staff who don’t bother to return smile when we greeted first. Housekeeping was horrendous when we checked in. There was mucus in the basin and hair in the bathtub. Buffet breakfast offers many choices but tbh the padthai that they served was the lousiest I’ve tasted in Chiang Mai. In fact, most of the dishes don’t taste good. Swimming pool is nice. Location is good, 10 mins walk to night bazaar. 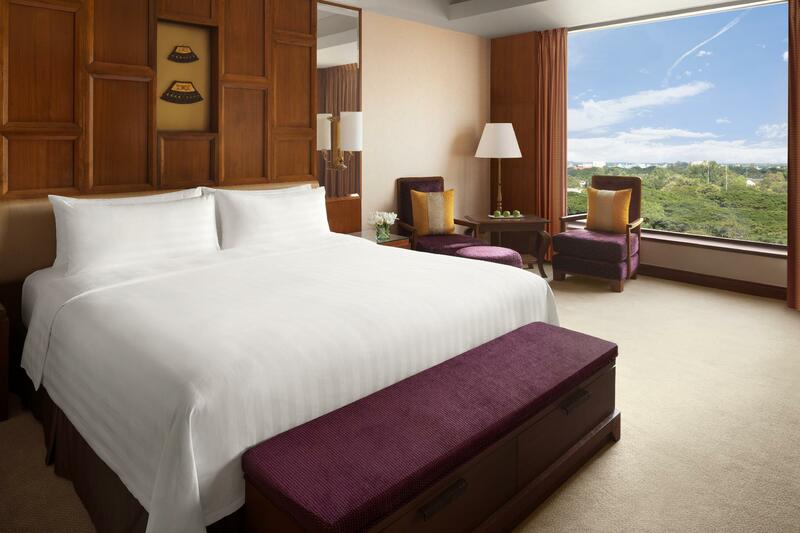 same quality of service of shangri-la, you can expect chinang mai too. however, you will not see any difference even you are in different country as everything is same. after several days, you will be bored of hotel break fast. i recommend you to go out and try local food for breakfast if you stay shangri-la for over 3 days. the shangri la Hotel is really a very nice place. all good there and very well structured. well maintained and staff is friendly all over. well located, so just a short walk to the night market, all good, like to come back there, sure ! Staff was awesome! They remembered our anniversary. Wine, cake, chocs, flower bathtub really WOW us. The next day our kids got a giant teddy to play with. We upgraded our room and the lounge service is great. We like this hotel very much. arrived at the hotel early hoping for early check-in would be available since we were traveling with baby. we booked for a premium room. was told room was not ready which i could understand. came back at official check-in time and room still not ready. came back at 2:30pm and once more room was not ready, said housekeeping havnt gotten around to it. finally they gave us a club level room only after we complained for 10 minutes at the front desk. they could have given us the club level room earlier but didnt want to release it for us until they saw we were really upset. we tried to be accomodating but the front desk kept us waiting way past our check in time and we were traveling with baby. i certainly did not expect this level of non-concern from shangri-la, as if we had to fight for our deserved room. and the icing on the cake was they told us even if we got a club level room we could not use their club amenities.... *then just dont put us on that level just give me the room i deserve! We were at this gorgeous hotel for 5 days. The peace and tranquility of the large luscious swimming pool was negatively impacted by the constant pounding of the construction literally a stone's throw away. Saying with my friend, we were so happy by the choice, excellent location with a short walk to the night bazaar, very impressive lobby. The rooms are so nice and clean, wifi a little slow but still workable. Love the dining experience there too. Shangri La always means luxury no matter where it is in the world, and this one is no exception. We stayed here for part of our honeymoon and could not have loved it more. The staff were extremely friendly and helpful and made us feel welcome and left a very nice welcome bottle of champagne and treats for our arrival. The pool is very nice and the food delicious and tasty. The hotel itself is a short walk away from the night market and the tuk tuks outside the hotel were always present and gave us good rates. Will stay here again the next time we visit Chiang Mai. Room and bathroom were spacious and clean. The pool was excellent! -- very well serviced and attended. The fitness facilities were exceptional, with well maintained equipment, work-out spaces, and spa/locker room. My travel companion and I were the only ones to sign up for the daily classes during our stay, so we basically had a personal trainer to ourselves free of charge. Great location within walking distance to the night market. Recommended! GREAT staff! Very good location for people interested in Chiang Mai, enjoying the night market and shopping. Yet, so close to town but super quiet. Pricey for sure, but never disappointed with Shangri-La resorts. Ideal for a deluxe 4 days-shopping spree! Spa and technicians were amazing. Best facial and foot massage ever!! They accommodated our needs in every way- even let us checkout towels for Elephant Sanctuary trip. Let us use gym facilities after to shower even though we had checked out. Great customer service. 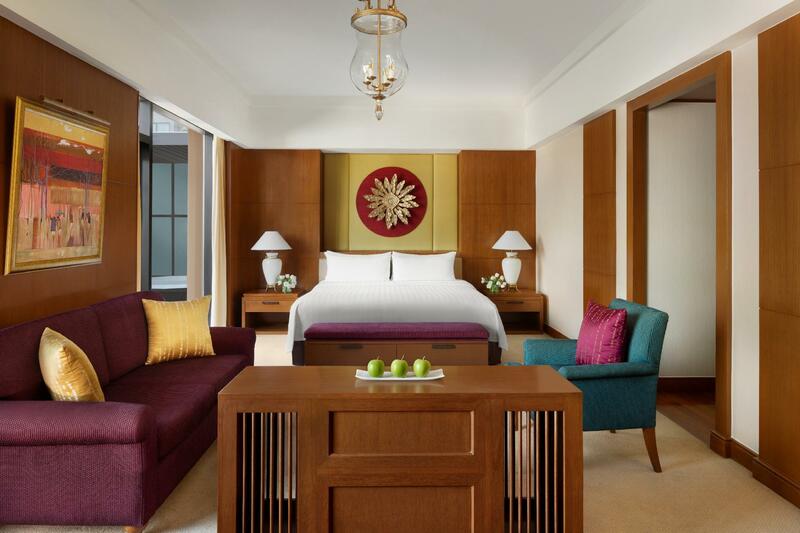 The normal very high standards expected from Shangri-La are maintained at this hotel. Very good rooms, well maintained and spacious with friendly efficient staff. Centrally located and with a beautiful large swimming pool and gym etc. Excellent breakfast with attentive helpful staff. `After a couple of days the chef remembered I liked some smoked salmon and brought it out to me without me having to ask. The waitress also remembered I liked 3 black coffees with my breakfast and started to bring them again without me having to ask. Only disappointment was buffet we had on first night after arriving which I felt was not up to quality and choice.